Jon is an owner/partner of Timberrock Enterprises LLC. With almost 2 decades of landscape and hardscape experience and his icpi and ncma certifications, he has gained the education & experience to construct most any project. 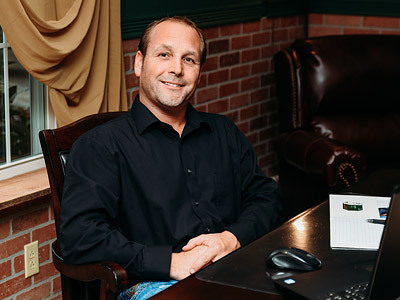 Jon has dedicated himself in running the entire operations section of the company since the start of the company, back in 1997. He has in recent years also taken over the design & sales portion of the company. Designing & building one of a kind outdoor living spaces that fit his customers lifestyle is Jon's passion. "No two jobs will ever be the same-every project is unique to its environment" This is demonstrated through Jonathans creative landscape designs until the project is complete. Jon is married to his wife Kelly and lives in Saylorsburg, Pa. When not working he enjoys skiing and traveling with his wife and spending time with their 2 labs, Coda & Oliver. 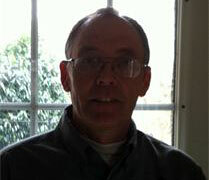 Rick is an owner/partner of Timberrock Enterprises LLC. Rick,along with his wife Carol, is also the owner of R.C Sons Garden Center, located just outside of Easton Pa, for the past 30 years. In this field of profession Rick has gained a vast knowledge of plant material & application along with a great deal of experience in landscape construction & maintenance. Rick strives to make your dream landscapes a reality. With years of experience in customer service, Rick continues to offer his customers the best service in the industry. In his free time, Rick enjoys family, biking, hiking and spending time with his wife Carol.